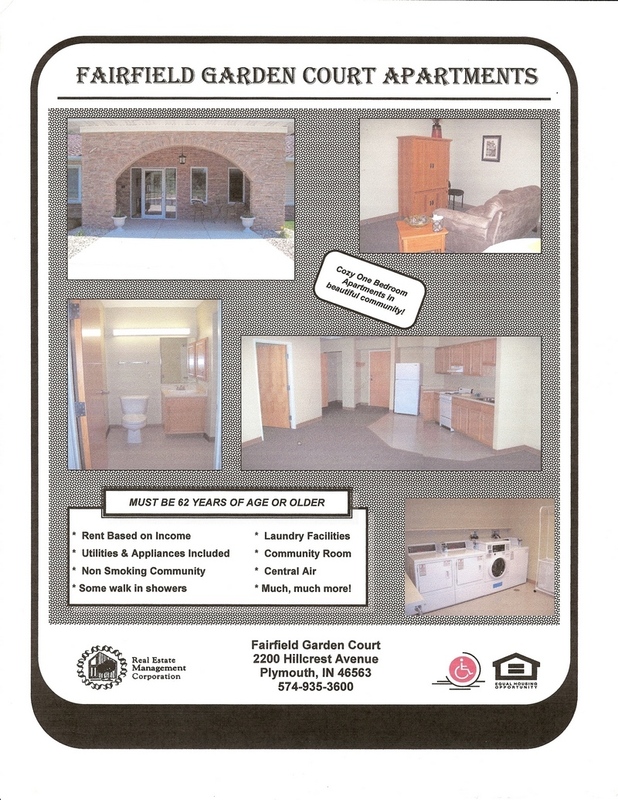 Fairfield Garden Court is unique due to its location in Plymouth, Indiana for several reasons. First was its placement in an existing subdivision. An agreement with the property seller involved construction of a roadway entrance into a new section of the overall subdivision. This was built to Plymouth Street Department Standards including all inspections for paving, sewers and stormwater structures and piping. This roadway is owned by Fairfield Garden Court, Inc., but includes an easement to the seller for use as access to the surrounding property. At some time in the future this may be dedicated to the City as a new street, thus the adherence to City Standards. The second unique point for this project was the expanded detention pond. In many Garden Court projects, Garden Court has made an effort to go above local standards and to provide a detention pond even when one is not required. In this case, the City of Plymouth has a detention/retention ordinance which requires retention of the first 10 year storm, with storage volume above that level for detention of another 100 year storm. While this requirement is beyond what most communities require, many of these ponds around Plymouth are built to the minimal standards necessary to meet the ordinance requirements. In this case, B.A. Martin Architects, Inc. and Price Nurseries created a wetlands/pond planting that should grow into an example for other projects around Plymouth in the future. This is the fourth Garden Court project that we have completed. P.T. McKinnis was our Site Superintendent for this project.